View address and contact details on CONTACT page. 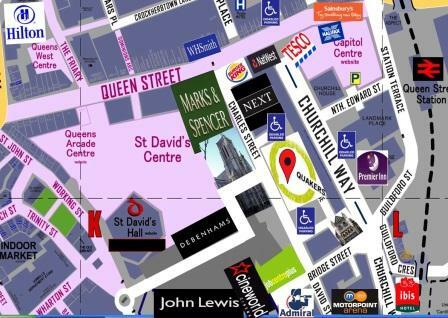 Located in the heart of Queen Street, Cardiff – alongside Marks & Spencer. 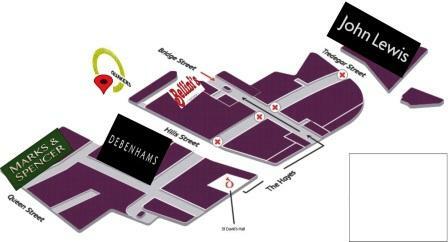 John Lewis and Capitol Shopping Centres. Many buses stop along Churchill Way, a mere 3 minutes away (Bus Timetable). 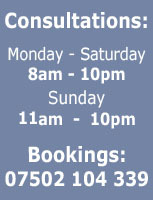 Ensure that you have pre-booked your session in advance. to accommodate for your particular needs. From Queen St, turn down the side-street between Marks & Spencer and Next. We are about 30 yards, on your LEFT. The entrance is just past the bright new flats. From John Lewis, walk toward The Motorpoint Arena, turn LEFT at CineWorld and LEFT again at the Job Centre - we are 30 yards further, on your right, just before the bright new-build flats (and coffee shop). 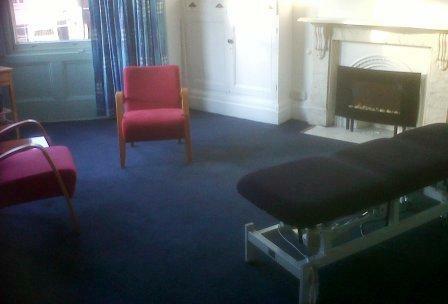 Kindly arrive 2 or 3 minutes prior to your treatment booking time. 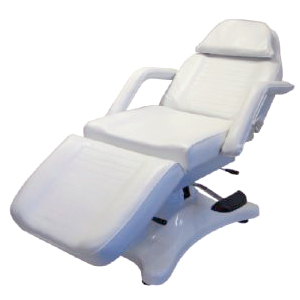 DO NOT arrive more then 5 minutes early - as this will disturb a client's treatment. Please press the (third) buzzer to gain entrance and make your way to the 1st floor. Kindly fill out the consultation sheet that will be placed outside the door of ROOM 2. There is a single parking space clearly marked on the photo, above. RIGHT ABOVE THE DISABLED SYMBOL. This space may be used during the daytime from 8am until 6pm, IF PRE-RESERVED, IN ADVANCE, BY YOU. Please let me know at least 24 hours in advance, so that I will reserve it for you. It is the first space you see as you enter the drive way. Please do not use the other parking spaces at the back of the building, as they are reserved for the other building tenants up until 6pm. AFTER 6PM and on SATURDAY, you are welcome to use any spaces to the rear of the building - YOU MUST PLACE A NOTE ON YOUR DASH-BOARD, SAYING THAT YOU ARE VISITING ME, AND THAT THE PARKING HAS BEEN RESERVED FOR YOU. Also, please ensure that you park tight against the building, right in front of the blue door - as otherwise you may be blocking the access to all other car park users - thank you! 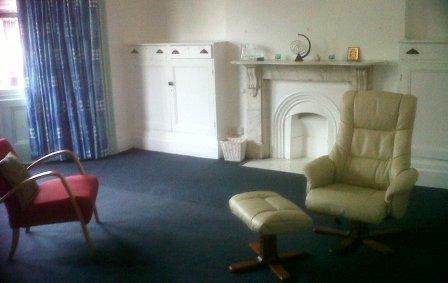 There is a common kitchen on the ground floor which you are welcome to use. Feel free to help your self to a cup of herbal tea or a glass of squash. 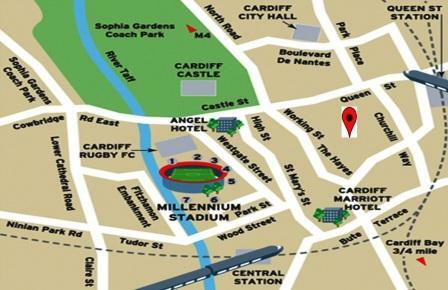 Turn left at Cardiff Crown Court or left at the end of Park Place, onto Stuttgartte Strasse and bend to the right onto Dumfries Place. KEEP TO THE RIGHT (the third lane) and BARE RIGHT towards Station Terrace (Queen St Station). If you came down Newport Road, TURN LEFT as you see Queen Street / Sainsbury's supermarket. Pass Queen Street Station and GO THROUGH the lights of Churchill Way. TURN RIGHT as you see the Job Centre - we are half way up, ON YOUR RIGHT, just before the Bomers Cafe. Turn left at the end of the Central Link onto Adam Street, pass the AtRium on your right and KEEP TO THE RIGHT and onto Bute Terrace. Your first permitted right turn is onto Mary Ann Street. Pass the Motorpoint Arena on your right and KEEP TO THE RIGHT. Turn right at the CineWorld / Admiral Headquarters and follow the bend of David Street as it crosses Bridge Street and onto Charles Street. We are a further 30 yards on your right. 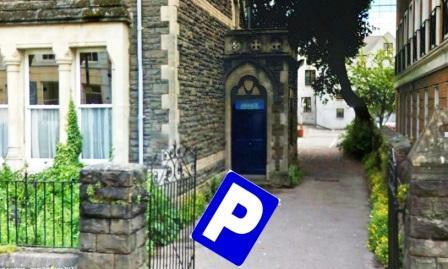 Its less than 5 minutes walk away - enter car park via Mary Ann Street (CF10 2EQ). Car park entrance is between CineWorld and the Motorpoint Arena. After 5pm secure parking until the following morning costs £2. 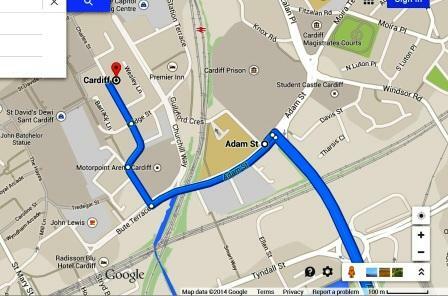 Its about 7 minutes walk away - enter via Churchill Way (CF10 2HD). After parking, turn left out of the lift and left at SoHo Cafe. Follow signs for Tesco's. Up to 1 hour parking is £2. Up to 5 hours parking is a VERY HEFTY £8.50. 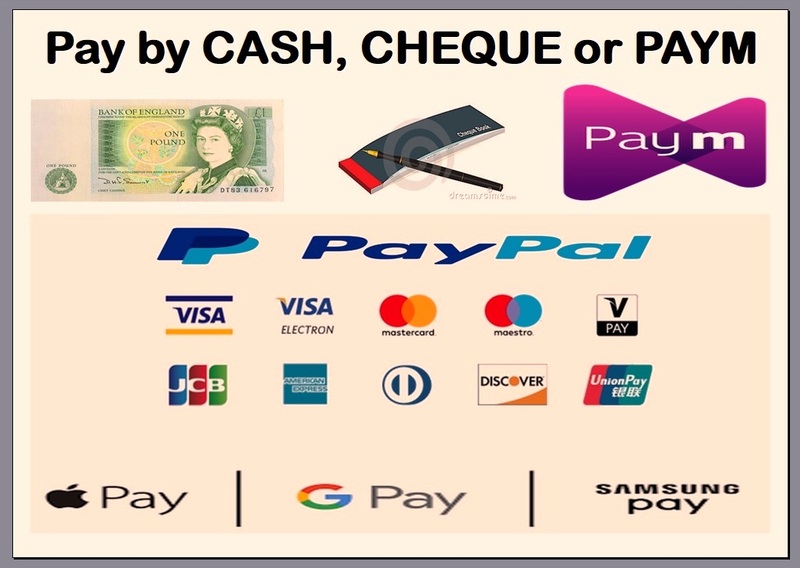 After 6pm secure parking until the following morning costs £1. 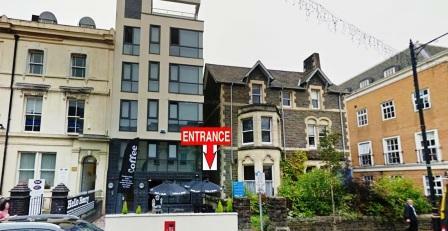 City Marshall is located about 5 minutes walk from Cardiff Queen Street Station. Walk down Queen Street for 3 minutes (200 yards) and turn left at M&S. 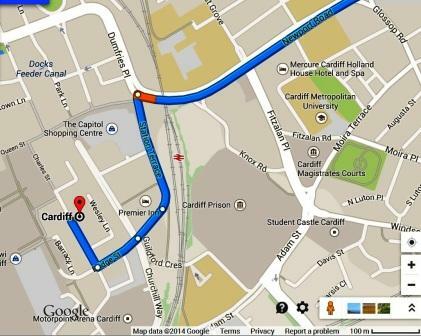 From Cardiff Central Station we are a 10 minute stroll via The Hayes and John Lewis. The building has full disabled access, 2 lifts and a ramp. PLEASE NOTE, there is a gap of 3 yards at the landing and another 5 or 6 yards that you need to negotiate to the treatment room itself. which comes down to a height of 15 inches / 40 cm. disabled parking space - but it must be pre-booked. The nearest public disabled parking is right along Charles St. There are six disabled spaces on our side of the street. (opposite M & S) also has 6 spaces. Churchill Way has over 20 disabled parking spaces. Windsor Place, across Queen Street, has a dozen reserved disabled parking spaces.